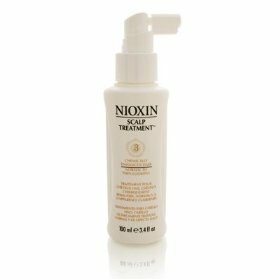 Nioxin Scalp Treatment System 3 - for fine, non-chemically enhanced hair in the early stages of thinning - is a daily scalp treatment to improve the appearance of thinning hair. BioAMP adds thickness from inside the cuticle and strengthens the hair shaft. Bionutrients and Glyco-Fused Complex safeguard the scalp from drying irritation caused by chemical services and extend longevity and vibrancy of color. Unique Scalp Access Delivery System helps protect nutrients as they moisturize and energize the scalp and hair. 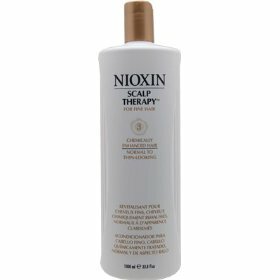 Nioxin Scalp Treatment System 3 contains SPF 15 to protect scalp skin from harmful UVA/UVB rays. 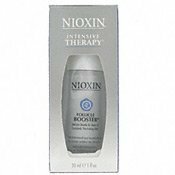 Nioxin intensive therapy follicle booster 1.0 oz.